What is the purpose of merit badges and advancement? Advancing through the ranks builds skills and self-confidence in a Scout. The four steps to advancement are learning, testing, reviewing, and recognition. An active Scout in Troop 33 will advance through ranks with leadership providing support, coaching, and opportunities for Scouts to complete ranks and merit badges. The key word is active. 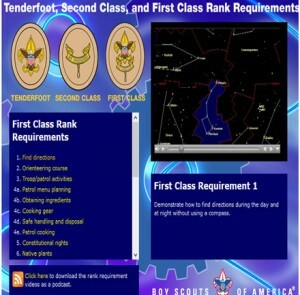 The troop has a program for those working toward First Class that include campout activities, activities at meetings, troop attending great a B.S.A. 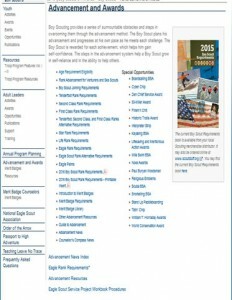 summer camp, and service projects. Troop 33 usually reached 25 nights of camping a year with all campouts being more than 24 hours long. By doing this, the purpose of advancement will be reached and the Scout will advance at the same time. Scouts working on the upper ranks work on merit badges, provide troop leadership, learn new skills and knowledge for an upcoming adventure. As a Scout matures, the program changes accordingly. 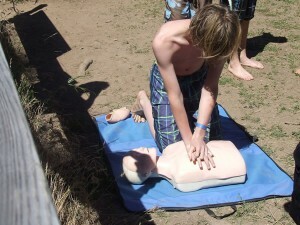 Scouts discover lifelong hobby or rewarding career through the merit badge program. Merit badges are more than a means to get a rank but helps Scouts develop physical skills, social skills, and self-reliance. Working on Star, Life, or Eagle? 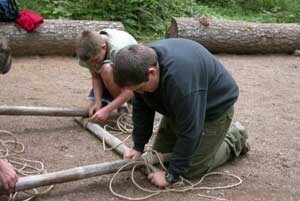 Scouting has a page with many links and resources.